For the past few years, I’ve been intrigued by all the buzz about Cirque du Soleil shows. I never knew exactly what went on in the shows, but I knew that it was awe-worthy. Cirque du Soleil uses eight characteristics to describe its performances: acrobatic performance, acting, art forms from throughout the world, imaginary worlds, dance, daring, dexterity and grace. Thanks to the recent influx of online discounts for practically everything, I was recently able to see Ovo, “an immersion into the teeming and energetic world of insects.” Besides the freezing temperature this past Sunday, and the inevitably agonizing trip to the porter trailer at Atlantic Station (freezing your buns off now holds real meaning for me), I had no idea what to expect. The Manning sisters and I filed into the big tent and took our seats. Surprisingly, the tent seemed smaller inside than we imagined it from the road. But, if anything, that was a plus. We had what could be called the cheap seats, and yet we could see everything. I’ll try not to give anything away, in case you’ve yet to see Ovo, but I will say that my mouth dropped to the floor numerous times throughout the performance. It’s amazing what the human body can do. The acts had me believing that the frogs and grasshoppers weren’t even human. And besides the movements themselves, the elaborate costumes also played into the illusion. 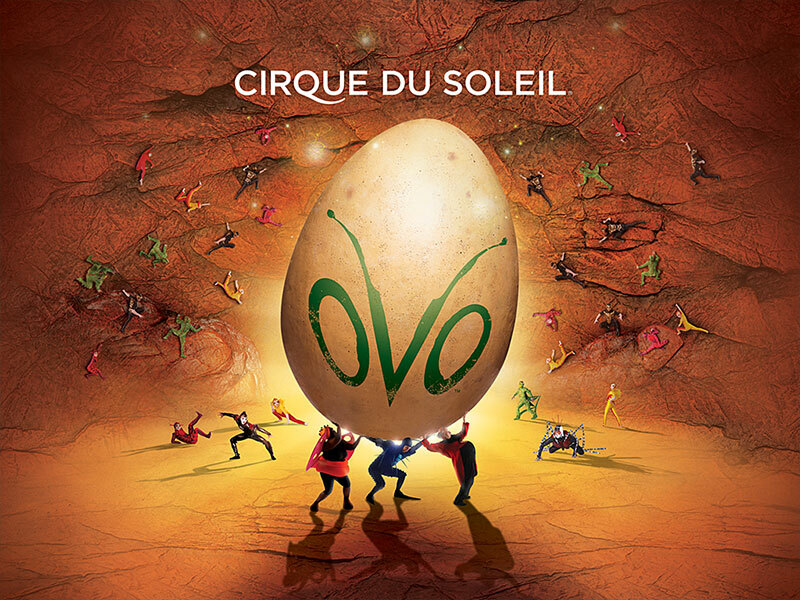 I absolutely plan to go to the Cirque du Soleil show that comes to town next year. It would have been appropriate if I’d posted a recipe using eggs, but unfortunately, I’m not that brilliant. 1. Dice onion, chop bacon and saute in pan with butter until onions are transparent and bacon is browned. 2. Fold spinach into mixture in batches. Make sure your heat is set on medium. 4. Stir in cream, 1/4 cup of parmesan, salt and pepper, and saute 2 to 3 minutes until sauce thickens. 5. Grease casserole dish with butter or olive oil, and spread mixture evenly. 6. Place fish fillets on top of mixture. I found frozen white pangasius at Trader Joe’s. It’s light, white and very similar to tilapia. It’s not fishy and takes on any flavor. 7. Sprinkle lemon juice over fish. 8. In small bowl, mix remaining parmesan and almond meal, and sprinkle over fish. 9. Bake at 350 degrees for 35 to 45 minutes, depending on the thickness of your fish. I’ve never had a taste for creamed spinach, but this is probably the closest I’ll ever come to it. Maybe it’s the bacon that really does the trick. Regardless, you’ll wonder how this recipe can possibly be healthy after you try a bite. And I guess if you’re not like me and think that foods like bacon and heavy cream aren’t ok, you might feel a twinge of guilt when eating this. Rest assured, you’re going to be ok…I am.